Here's the third spread in my Sketchbook Project 2012 Limited Edition book. 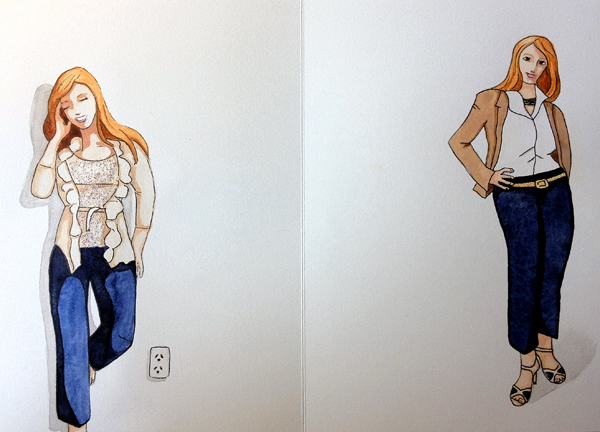 On the left is a casual Spring outfit, navy capri pants, neutral sequin tank top and light cardigan. On the right is a work ensemble of navy capri pants, cream and black heels, business shirt, and sports-coat, teamed with a snake-skin belt. All of the entries in my sketchbook were painted with watercolor and ink in under 10 minutes (not including drying time).